When Kristen first mentioned this week's prompt to me, I was at a loss as to what to put. It is such a broad topic! So I stopped for a moment and thought about what I love about this season. Everything comes back to emotions for me and the little things. This year is going to be different than any others being single for the first time in fourteen years. I'm going to have to start making my own traditions and that is a scary. But also exciting. 1. 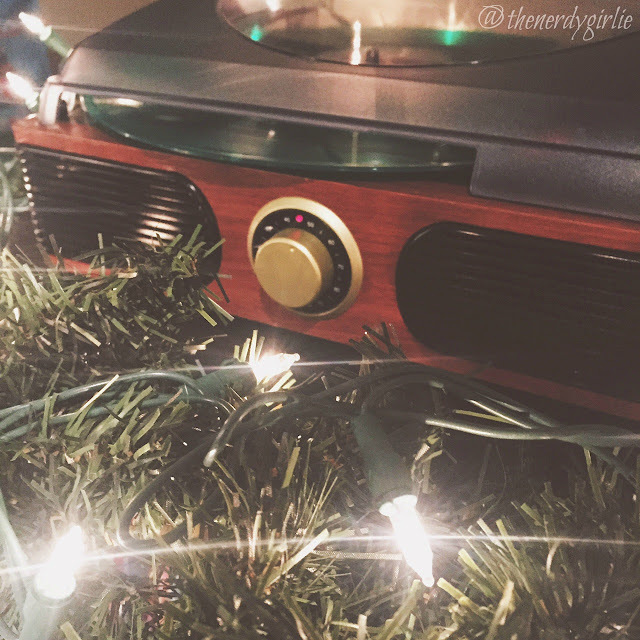 My Indie Christmas Playlist. You all know how much music gives me the feelz! Christmas music is no exception! I hope you all enjoy these classics sung by my musical loves: A Silent Film, The Filthy Souls, Bad Veins and more! 2. Mocha Coffee with Marshmallows and Sprinkles. I started this last year and couldn't get enough of it. 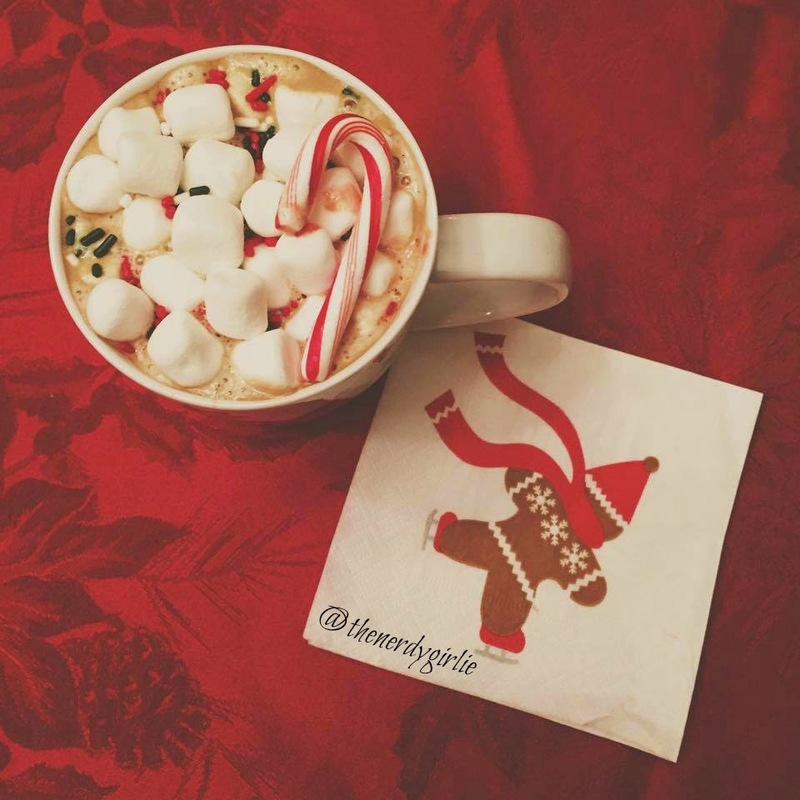 Just adding marshmallows and sprinkles to a regular cup of coffee just makes me so happy! 3. A Muppet Family Christmas. This is the Christmas movie that brings all the childhood feelz! You can watch the entire thing on You Tube! I WISH I could have a physical copy of it! 4. Create Thoughtful and Meaningful Gifts. I've always liked doing this. I JUST finished up and sent out all of my gifts this year and I cannot wait for people to receive them. Each one was created with the receiver in mind and is personal and heartfelt to me and hopefully meaningful to them. 5. Spend Time With Your Favorite People. I just bought this book called 4,000 Questions For Getting To Know Anyone And Everyone. I am completely obsessed. I take it with me wherever I go now and have learned so much MORE about my family and friends! Since this topic is so broad I cannot wait to hear what you guys share! Tag me over on Twitter so I can RT and spread the holiday love! Comment below too with your TOP favorite holiday recommendation! That mocha coffee photo is still one my favorites that you've ever posted. It's so festive and lovely! I love the Muppet Family Christmas! "Watch out for the icy patch!" That 4,000 questions book to get to know anyone is super intriguing. I'd love to have that just to pull out at small get togethers and learn people's answers. Christmas isn't Christmas without Muppet Family Christmas. I'm also super-partial to The Christmas Toy, also by Henson.